He was science journalist for Découverte, the weekly television science magazine of Radio-Canada. He also had a weekly health segments on the national news - Téléjournal - and contributed to numerous programs. His principal interests are public health, the environment, space, neurosciences and new technologies. He was past president of the Quebec Association of Science Communicators and has won many national and international awards in journalism. He also hosts scientific and medical forums and symposiums, including in the field of music since he is a pianist and composer. He has recently published a book on music and the brain Le cerveau et la musique. Dr. Bader joined Triumvira in 2018 as Senior Vice President, R&D. Dr. Bader is a seasoned biotech executive with more than 20 years’ experience in oncology drug discovery and development, and business and research strategies. Previously, Dr. Bader acted as Co-Founder and CEO of Orros Biotherapeutics LLC, and as a scientific Co-Founder of Mirna Therapeutics, Inc., where he held multiple leading positions in R&D and led research programs from discovery to the completion of a Phase 1 clinical trial. Prior to Mirna, Dr. Bader functioned as the Scientific Lead of the microRNA therapeutics program at Asuragen, Inc. Dr. Bader completed his post-doctoral training at The Scripps Research Institute, La Jolla, California, received his PhD in Biochemistry and his MSc degree in Biology from the University of Innsbruck, Austria. Dr. Baghbaderani is the global head of Process Development, Cell and Gene Technologies at Lonza. He has over 15 years of experience in stem cells engineering, bioprocessing, and cell and gene therapy (C&GT) field. Dr. Baghbaderani holds a PhD degree in Biomedical Engineering from the University of Calgary (Calgary, Canada), where he developed bioreactor protocols for large-scale expansion of human neural stem cells for clinical applications. He completed nearly three years of postdoctoral program including a two-year postdoctoral fellowship at the National Institutes of Health (NIH) / National Institute of Neurological Disorders and Stroke (NINDS). His postdoctoral research at the NIH focused on generation of human induced pluripotent stem cells, bioprocessing of both human embryonic stem cells and human iPSCs and controlled differentiation into neuronal lineage. Since joining Lonza in 2011, he led a group of scientists at Lonza process development team, establishing pluripotent stem cells platform technologies and a cGMP compliant manufacturing process for human induced pluripotent stem cells. Dr. Baghbaderani then led the cell therapy development department (including process development and bioassay services), focusing on the development of cGMP compliant processes and cell characterization assays for different cell therapy applications. As the global head of process development, Dr. Baghbaderani is currently leading the development activities for viral vector and C&GT applications across Lonza global network. Director, pan-Canadian Oncology Drug Review (pCODR). Before joining CADTH’s pCODR in 2014, Ms. Chambers was a Clinical Epidemiologist with Health Quality Ontario and the Ontario Health Technology Advisory Committee (OHTAC). Ms. Chambers holds a Masters degree from McMaster University, and a Bachelor of Science (Hons) degree from the University of Waterloo. Dr. David Courtman is trained in cellular and molecular pathology and biophysics with extensive expertise in the development of novel therapies for cardiovascular disease. He obtained undergraduate and Master’s degrees in Medical Biophysics from the University of Western Ontario and a PhD in Cellular and Molecular Pathology at the University of Toronto. He completed postdoctoral training in the Vascular Pathobiology program at the University of Washington, Seattle and subsequently took up an appointment as Assistant Professor in the departments of Surgery, Pathology and Biomedical Engineering at the University of Toronto at St. Michael’s Hospital. In 2008 he moved to the Ottawa Hospital Research Institute to continue his research and take up the directorship the clinical cell manufacturing facility. Prior to becoming Director of the Canadian Cancer Trials Group on September 1, 2014, Dr. Dancey was Director, Translational Research – Clinical at Canadian Cancer Trials Group. She is also Scientific Director of the Canadian Cancer Clinical Trials Network (3CTN) and from 2008-2015 she was Director of the High Impact Clinical Trials Program at the Ontario Institute for Cancer Research. Prior to joining the Canadian Cancer Trials Group, Dr. Dancey was Senior Clinical Investigator in the Cancer Therapy Evaluation Program at the US National Cancer Institute and then Associate Chief of the Investigational Drug Branch. Dr. Dancey received her MD from the University of Ottawa and completed her residency training in internal medicine and medical oncology at the University of Toronto. In 1994-95, she was a research fellow with the Canadian Cancer Trials Group and continued her fellowship training at the Institut Gustave Roussy in France. Dr. Dancey has special expertise in new anti-cancer drug development, linking drug and biomarker development, and associated clinical trials methodology. She is also Professor in the Department of Oncology at Queen’s University. Dr Delisle is a transplant hematologist and principal investigator at Hôpital Maisonneuve-Rosemont since 2010, as well as an associate professor at the Université de Montréal. Most of his research is in the area of basic immune cell biology and translational T-cell immunotherapy. Specifically, his laboratory studies the fundamental mechanisms responsible for critical variables for the outcome of T-cell therapies such as T-cell activation, T-cell memory differentiation and T-cell dysfunction. As a translational scientist and assistant-medical director of the Centre for Excellence in Cell Therapy (CETC), he devised and implemented T-cell manufacturing processes leading to innovative early phase clinical trials in Canada. He also led the design of immunomonitoring strategies for the follow up of these (and other) cell therapy trials. As the scientific lead of C3i’s cellular biomarker platform, Dr Delisle oversees the development of a comprehensive and adaptable unit to address the needs of the rapidly evolving field of cellular immunotherapy. Daisuke Doi is a neurosurgeon and Research Associate at Center for iPS Cell Research and Application, Kyoto University, Kyoto, Japan. He obtained MD degree from Shiga University of Medical Science, Japan and trained as neurosurgeon at Kyoto University, and obtained PhD degree from Faculty of Medicine at Kyoto University. His research work is focused on inducing dopaminergic neurons from human pluripotent stem cells, and in 2018, He and his boss Dr. Jun Takahashi started a first-in-human trial aiming at investigating the safety and efficacy of iPSC-derived dopaminergic progenitors for treatment of Parkinson’s disease. He managed preclinical study of human iPSC-derived dopaminergic progenitors and development of cell product for the clinical trial. Dr. Dunfield is the Director of HTA and Program Development in the medical devices and clinical interventions directorate at CADTH. During her time at CADTH, she has been involved in numerous HTA projects and oversees the topic identification and prioritization process for medical device HTA and Optimal Use projects. She has experience developing evidence based guidelines for preventive health care and currently works with CADTH’s Health Technology Expert Review Panel (HTERP) to develop optimal use recommendations for medical devices and clinical interventions. Lesley worked with HTERP to develop optimal use recommendations for the first CAR T-cell therapy available in Canada. Lesley received her BSc and her PhD from Dalhousie University. Dr. Heidi Elmoazzen is currently the director of Canadian Blood Services’ Cord Blood Bank and Stem Cell Program and is responsible for overseeing the national public cord blood bank and autologous stem cell program. Dr. Elmoazzen obtained her Ph.D. in Medical Sciences from the University of Alberta with a concentration in cryobiology. She then went on to do a post-doctoral fellowship at Harvard Medical School and Massachusetts General Hospital in Boston, USA. Following her fellowship, she became an instructor at Harvard Medical School and an Assistant in Bio-engineering in the Department of Surgery and Obstetrics and Gynaecology. Her area of research was focused on fertility preservation and developing novel biopreservation techniques for stem cells and reproductive cells. Her main areas of expertise and experience include bio-preservation, stem cell banking and translational medicine. She has published two book chapters on stem cell preservation as well as over 30 journal papers. She has over 80 contributed and invited presentations at various national and international meetings. Dr. Lucie Germain, Ph.D., is a full professor at Université Laval. Her work is dedicated to stem cells and human tissue reconstruction and led to three clinical trials on humans involving engineered-tissues produced in vitro for the treatment of venous chronic ulcers, burned patients and limbal stem cell deficiency of the cornea. Dr. Germain has published more than 145 peer-reviewed articles, 64 book chapters and review articles and given more than 120 invited seminars and conferences. Recently, her sustainable contribution to health research was recognized by the foundation grant program of Canadian Institutes of Health Research, which granted her financial support for 7 years. Within the CHU de Québec-Université Laval Research Center, she was Director of the Regenerative Medicine Division until 2014. The Canada Research Chair Program recognized Dr. Germain as a world leader in the field of stem cells and regenerative medicine by granting her a junior Tier-2 chair in 2001 and a senior Tier 1 chair in 2015. In 2013, she was named Member of the Canadian Academy of Health Sciences and she was Vice-Dean of Research and Graduate Studies at the Faculty of Medicine of Université Laval from 2014 to 2018. Vice-President, Tissue Engineering, Aspect Biosystems Ltd.
Spiro is the VP of Tissue Engineering at Aspect Biosystems Ltd. and manages all partnered and internal tissue engineering programs. Spiro was trained as a reproductive and developmental biologist at the University of British Columbia. He was previously a tenured Associate Professor of Dermatology and Cell & Molecular Biology at Northwestern University in Chicago, IL where he directed an academic research program with a focus on epithelial cell biology and tissue regeneration. Spiro was also a Director of Biology at GlaxoSmithKline Pharmaceuticals in Collegeville, PA where he led a team delivering preclinical models for drug discovery and development. After graduate studies at McGill University, a PhD in immunology and virology at INRS-IAF, working in the crossmatch histocompatibility laboratory for Transplant Québec and a post-doc with Dr Claude Perreault in hematopoietic graft and graft versus host disease, I was project manager in multiple projects in the Translation Platform of Hopital Maisonneuve Rosemont. Since 2013 I am the Director of operation (CSO and COO) of the Center of Excellence in Cellular Therapy (CETC). The CETC is a GMP-compliant manufacturing center for cell therapies with 13 cleanrooms and regulated by Health Canada, FACT, EMA and FDA for more than minimal manipulations. Along with C3i, the CETC partners with companies and researchers to accelerate the translation, qualification, regulatory-acceptation and clinical production of Phase I to Phase III clinical trials. Dr. Joerg Krueger is a staff physician at The Hospital for Sick Children, he is a project investigator at the Hospital for Sick Children Research Institute and an Assistant Professor at the Faculty of Medicine at the University of Toronto, Canada. He obtained his medical and research training at the Philips University of Marburg and Humboldt University, Berlin, Germany. He completed his doctoral thesis at the Humboldt University in Berlin and a post-doctoral fellowship at the Scripps Research Institute in La Jolla, USA with a research focus on cancer immunotherapies. After finishing his pediatric residency at the Charite University Hospital, Berlin he completed a clinical and research fellowship in Hematology and Oncology at the Hospital for Sick Children, Toronto, Canada. He is a staff physician in the section of Blood and Marrow Transplantation and Cell Therapy and is the local Principal Investigator for leukemia CAR T-cell trials conducted the Hospital for Sick Children. Celia Lourenco holds a PhD in Pharmacology and has been the Director General of the Biologics and Genetic Therapies Directorate (BGTD) of the Health Products and Food Branch of Health Canada since November 2018. BGTD is responsible for regulating biologic and radiopharmaceutical products for the Canadian market, including blood, blood products, vaccines, biotherapeutics, gene therapies, cell therapies, and radioactive drug products. She has been with Health Canada for over 18 years and was previously the Senior Executive Director of the Therapeutic Products Directorate (TPD), where She held other management positions over a period of about 10 years. In her various management roles as a regulator, Celia has been responsible for the review and authorization of a variety of new drugs for human use, either for clinical trials or for market authorization in Canada. Celia represents Health Canada at the Assembly and Management Committee of the International Council for Harmonization and at the Management Committee of the International Pharmaceutical Regulators Programme. Marta Majdan completed PhD and Postdoctoral studies in neuroscience at McGill University and Harvard Medical School. She has worked in the pharmaceutical industry for over 12 years, including in early drug discovery at Merck Research Labs, as well as in medical affairs at Merck Canada, AstraZeneca, and Novartis. She was involved in the launch of the first anti-PD-1 agent in advanced melanoma in Canada, and has since worked in oncology, including lung cancer, rare diseases and most recently as medical advisor in Cell and Gene Therapies at Novartis. Profoundly inspired by the biotechnology pioneers who developed recombinant DNA in 1973, and by its application in 1978 to produce human insulin, Dr. Bernard Massie joined the NRC in 1985 with a conviction that molecular biology holds the power to unlock the mysteries of human health. He initially focused on delivering DNA inside cells to replace mutated genes with therapeutic genes, becoming one of the first researchers in Canada to tackle gene therapy. Sensing the enormous potential of biologics to treat cancer and chronic diseases, he applied his knowledge of viral vectors to biologics production. He has dedicated 30 years to developing bioprocesses needed to produce these revolutionary, targeted medicines, first as a research associate and progressing to roles such as group leader, R&D director, and leader of the Biologics and Biomanufacturing program. In December 2015, Dr. Bernard Massie was appointed Director General (acting) of the Human Health Therapeutics Research Centre at the NRC until end of March 2019. Dr. Massie earned his B.Sc. and M.Sc. in biology from Université de Montréal, where he also completed his Ph.D. in microbiology. He has published over 140 peer-reviewed papers and has 12 issued patents. Síofradh McMahon leads the regulatory affairs and clinical translation function at CCRM. In her role, she works with both academic and industry partners to advance promising products and technologies to commercialization. Siofradh has more than a decade of experience in pharmaceutical and biotech regulatory affairs and policy in multiple geographies, and is an active member of the Alliance of Regenerative Medicine Regulatory and the Value & Access working groups. She earned her undergraduate degree in biotechnology at the University of Edinburgh, and her master’s in global health policy at the London School of Hygiene and Tropical Medicine. Dr. Melenhorst graduated with a bachelor’s degree in continuing education from Tilburg Fontys Teacher’s College, a master’s degree in Medical Biology from the Nijmegen Catholic University, the Netherlands, and a doctorate of philosophy from the Leiden University, the Netherlands. After a post-doctoral fellowship followed by a staff scientist appointment at the National Institutes of Health he was recruited to the University of Pennsylvania in 2012 by Dr. Carl June, first as Deputy Director of the Clinical Cell and Vaccine Production Facility and later as the Director of Product Development & Correlative Sciences. In this role, he was at the cusp of the first ever CAR T cell therapy approved by FDA: Kymriah. 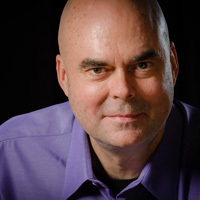 Dr. Melenhorst contributed significantly to the evolution of the CAR manufacturing process and to in-depth mechanistic studies into the immunobiology of CAR T-cell therapies, work that was published in high impact journals such as Nature, Nature Medicine, Cancer Discovery, Science Translational Medicine, and the New England Journal of Medicine. Dr. Melenhorst’s research aims to understand and improve the efficacy, safety, and product consistency of adoptive cell immunotherapy through biomarker, mechanistic, and product development studies. Andras Nagy has been seminal to the field of stem cell biology and regenerative medicine. He was first to create adult animals from mouse embryonic stem cells using tetraploid embryo complementation technology. His genetic tools are now used by thousands of researchers. He derived the first Canadian human embryonic stem cells and developed the first transgene-free induced pluripotential stem cells. His vision is to find cures for complex human diseases. Dino Petrin attended Laurentian University, obtaining his B.Sc. Honors in Biology. He went on to earn his Masters degree at the University of Ottawa (U of O) in the Department of Microbiology and Immunology. After completing his Masters, he earned his doctorate at the U of O studying gene therapy using AAV encoding the X-linked inhibitor of apoptosis (XIAP) in various mouse and rat models of Retinitis Pigmentosa (RP). Dino decided to work on gene therapy for retinal dystrophies because his father and uncle have RP. In 2005, Dino left the research arena to work at Health Canada as a Chemistry and Manufacturing Evaluator at the Biologics and Genetic Therapies Directorate (BGTD). He is currently a Senior Evaluator at the BGTD. He is a member of the virtual Genetic Therapies (GTs) Division at the BGTD, and has extensive experience in reviewing gene therapy Clinical Trial Applications. He has participated in many On-Site Evaluations (OSEs) as a Product Specialist, including the OSE for a CAR-T cell therapy, and was a member of the team that approved the first CAR-T cell therapy (Kymriah) in Canada. Dino has participated in numerous pre-submission meetings with sponsors of GT products. He also participates regularly with the International Pharmaceutical Regulators Programme (IPRP) gene therapy Working Group, which seeks to exchange information from various regulatory agencies on issues of mutual interest and facilitate regulatory consensus on topics pertaining to GTs. Dino is excited about the progress made to date with cellular and genetic therapies getting to the clinic and hopes that these treatments can improve the quality of life of Canadians. Gary Pigeau received his Ph.D. in Biotechnology from Brock University in St. Catharines, Ontario. He completed a postdoctoral fellowship at the University of Alberta with a visiting scientist appointment at the University of Oxford. Gary moved to private industry in 2008, where his research group focused on process development and scale-up of a proprietary bioprocess technology. He then moved to commercial, large-scale biomanufacturing in 2013. Gary joined GE Healthcare and the Centre for Advanced Therapeutic Cell Technologies @CCRM in 2016 and led our pluripotent stem cell process development, scale-up and manufacturing efforts. Also active in the public health arena, Bob has served on the Stem Cell Banking Committee and Cord Blood Subcommittee of the New York State Department of Health and on the New Jersey State Department of Health’s Blood Bank Advisory Committee, chairing the Hematopoietic Progenitor Cell Processing Subcommittee. In addition, he has served in a leadership capacity for many professional organizations, including treasurer and founding member of the International Society of Hematotherapy and Graft Engineering, now called ISCT (International Society for Cellular Therapy). He has published and presented extensively on a variety of topics relating to cellular therapies. He recently completed a five-year term as a director for AABB as well as two and a half years as Chairman for the Alliance for Regenerative Medicine (ARM), where, among other activities, he previously served as Vice Chairman from 2015 to 2016 and co-chaired the Standards and Technology Committee. Bob holds a BS degree in biology from Fordham University, and a MS degree and Doctorate, both in biology, from New York University. Mayo Pujols is currently Global Head of Novartis Cell and Gene Therapy Technical Operations, where he oversees the development and manufacturing operations of the Cell and Gene platform, including Novartis’ innovative CAR-T cell therapy Kymriah. In this role, he leads a team responsible for manufacturing, quality operations, process/analytical development, engineering, supply chain/logistics, and project management. Prior to Novartis, Mayo was VP of Global Head Car-T Operations and Technology at Celgene located in Summit, New Jersey and prior to Celgene he was SVP of Technical Operations at Advaxis, Inc., a clinical-stage biotechnology company located in Princeton, New Jersey. His other previous roles include VP of Technical Operations for Advaxis and Executive Director of Technical Operations at Merck supporting the vaccines and biologics franchises. Mayo has also worked in a number of other global and domestic roles throughout his career, including the areas of technology transfer, new product launches, validation, regulatory submissions/inspections, commercial/clinical manufacturing, and quality assurance/systems at Astra-Zeneca (MedImmune), Schering-Plough, and Merck. Dr Kathy Reape is the Chief Medical Officer at Spark Therapeutics and oversees clinical, pharmacovigilance, and medical affairs activities in the company. She has more than 18 years of pharmaceutical industry experience in clinical drug development, and has overseen numerous clinical trials and been involved in the approvals of more than two dozen products including small molecules, biologics, biosimilars, and devices spanning a wide range of therapeutic areas. With Spark since 2015, she’s been responsible for global clinical programs utilizing gene therapy in rare diseases including hemophilia, metabolic and central nervous system disorders, and inherited retinal dystrophies. She was involved in Spark’s submission of the BLA and MAA for LUXTURNA® (voretigene neparvovec-ryzl), leading to US FDA approval in 2017 and EMA marketing authorization in 2018. Ms. Rill is currently serves as the Chief Technical officer of Triumvira Immunologics, USA, Inc. She has extensive manufacturing, clinical and translational research laboratory experience in cell and gene therapy, monoclonal antibody production, and protein production. Her expertise spans the areas of laboratory construction, facility operations, project management, product and process development, cGMP manufacturing, regulatory compliance, and quality systems. She has designed and qualified cGMP Cell & Gene Therapy Laboratories, cGMP Vector Production facilities, core service laboratories, and Translational Research Labs. Ms. Rill has previously held the positions of Vice President of Manufacturing for Cell Medica, Chief Development Officer for Opexa Therapeutics, Laboratory Director of Cell and Gene Therapy, Translational Research Laboratories at Baylor College of Medicine and Associate Scientist/Lab Manager of the BMT Research and GMP Cell & Gene Therapy Laboratories, St. Jude Children’s Research Hospital. Pierre Sabourin was appointed Assistant Deputy Minister (ADM) of the Health Products and Food Branch at Health Canada in 2016. Mr. Sabourin was the Senior Vice-President, at Canada Mortgage and Housing Corporation (CMHC) from 2013 – 2014. From 2010 to 2013, he held the position of Vice-President, Operations at Canada Border Services Agency where he led all Canadian customs and immigration border operations. He also filled senior management positions up to Assistant Deputy Minister at the former Department of Foreign Affairs and International Trade. Dr. Duncan Stewart is a pioneering Canadian cardiovascular researcher, recognized for his many important discoveries in blood vessel biology, as well as his dedication to translating these discoveries into benefits for patients and society. After beginning his career in academic cardiology at McGill University in Montreal, he moved to Toronto as Head of Cardiology at St. Michael’s Hospital and later became Director of the Division of Cardiology, and Executive Director of the McLaughlin Centre for Molecular Medicine at the University of Toronto. He was recruited to lead the Ottawa Hospital Research Institute (OHRI) in 2007. Raffi Tonikian is Associate Director in Oncology at Merck Canada, where he is responsible for leading the Medical Affairs strategy for biomarkers and breast cancer for Pembrolizumab. In addition, he serves as the Olaparib medical lead for the alliance with AstraZeneca. Dr. Tonikian is also responsible for external collaborations and partnerships in the areas of basic and translational oncology research. Prior to joining Merck Canada, Dr. Tonikian was Medical Advisor in Neuroscience at Novartis Pharmaceuticals Canada, where he supported Medical Affairs and clinical activities in the fields of Multiple Sclerosis and Neuromuscular diseases. Dr. Tonikian was a Scientist in the Departments of Protein Engineering and Translational Medicine at Biogen in Cambridge, Massachusetts. His work focused on the screening of antibody libraries for the discovery of antibody-based therapeutics for autoimmune disorders. In addition, he studied the utilization of T-cell repertoire diversity using next-generation sequencing as a potential biomarker for disease activity in autoimmunity. Raffi received his doctorate degree from the University of Toronto in the Department of Molecular Genetics, where he used peptide phage display libraries to identify specificity profiles for signaling domains, which led to the mapping of large-scale protein interaction networks in several model organisms. During that time, he also spent nearly two years at Genentech, Inc. as a Visiting Scientist in the Department of Protein Engineering. Dr. Tonikian performed his postdoctoral work at the Centre for Cellular and Biomolecular Research in Toronto, where he developed and utilized phage-displayed libraries to isolate antibodies against cancer related antigens. In addition, he worked on the development of antibody-DNA conjugates as potential biomarker detection reagents. Nuala Trainor is a talented scientist and leader, with more than a decade of academic and work experience in biomedical engineering, including stem cell research and bioreactor design. She also has in-depth knowledge of biotech-related patents. Nuala holds a Bachelor of Applied Science degree in Chemical Engineering and Applied Chemistry from the University of Toronto, and a doctorate in Engineering Science, Biomedical Engineering from the University of Oxford. Dr. Viswanathan is an Affiliate Scientist at the Krembil Research Institute, University Health Network, and an Assistant Professor at the Institute of Biomaterials and Biomedical Engineering and at the Department of Medicine of the University of Toronto. Her research interest is focused on developing cellular therapy approaches with anti-inflammatory functionality. This includes developing next generation mesenchymal stromal cells (MSCs) and polarized monocytes/macrophages using small molecules, gene editing and culture engineering approaches. Dr. Viswanathan’s primary research focus is applying these novel cellular therapy products to targeting inflammation and cartilage degradation in osteoarthritis. Dr. Viswanathan is a co-Principal Investigator of Canada’s first autologous MSCs to treat osteoarthritis. Dr. Viswanathan’s lab is also focused on statistical approaches to systematically optimize bioprocesses and develop rapid and relevant bioanalytical techniques. Dr. Viswanathan co-chairs a Cell Therapy Stakeholder Group that engages Health Canada on cell therapy related policy issues. Dr. Viswanathan is manufacturing team lead for CellCAN, a regulatory and manufacturing advisor for OIRM, and a Canadian expert member of the International Standards Organization (ISO)’s technical committee (TC 276) on cell and gene therapies. Dr. Viswanathan is an elected formal liaison between International Society of Cellular Therapy (ISCT) and ISO. Dr. Viswanathan serves on the MSC scientific and the North American Legal and Regulatory Affairs committees at ISCT. She was recently appointed as an Associate Editor of Cytotherapy, official journal of ISCT..
Dr. Wall is currently leading the Blood and Marrow Transplant/Cellular Therapy Section at SickKids/University of Toronto. She has experience in transplantation for treatment of hemoglobinopathies and malignant disorders - establishing programs St. Louis and San Antonio. Her research has focused on improving the outcomes of children undergoing transplant through a better understanding of the intersection of the immune and hematologic systems. She is involved in clinical trials of transplantation and gene therapy for thalassemia.